Central Pharmacy provides a broad range of professional, high quality pharmacy services dedicated to improving the health and well-being of our customers. 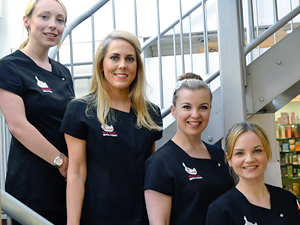 Our team of fully qualified and registered healthcare professionals have considerable expertise and experience in providing support for patients and helping them with their medicines. We offer a complete range of services, from the dispensing of NHS and private prescriptions, to a free and personal medicines health check in our private consultation area. 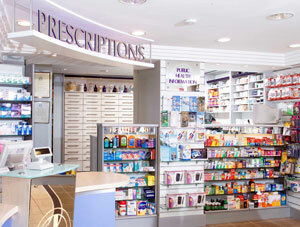 Central Pharmacy also offers a prescription ordering, collection and delivery service, together with a specialised service that is designed to support patients leaving hospital care. The Pharmacy fulfils a full range of medicine, healthcare equipment and first aid requirements, and provides a broad spectrum of services to support patients living with longer term conditions. Our healthcare team recognise that many of our customers require support in leading healthier lifestyles, and have designed an entire complement of programmes. These include stop smoking assistance, health MOTs and weight management. In addition, we offer a full range of sexual health services including erectile dysfunction support, chlamydia screening and a free and confidential service for the supply of the morning after pill. Whatever your health and well-being needs, Central Pharmacy is here to help.